RUSSIA: Developers have claimed they can build projects at capital expenditure (Capex) costs ranging between RUR 59,339/kW (€804.07/kW) and RUR 130,404/kW (€1,767.04/kW) in the latest Russian tender. 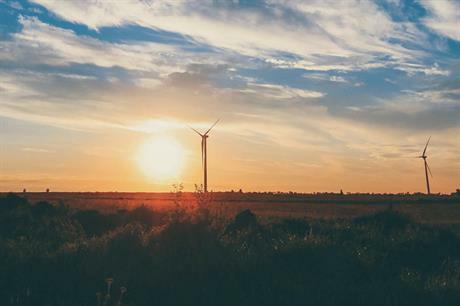 The Russian Association of the Wind Industry (RAWI) stated that bids between RUR 59,339/kW and RUR 80,305/kW were entered for 823.3MW – nearly the full 830MW allocation available in the tender. Developers’ names, project locations and precise capacities have not yet been made public, but RAWI added the full results would be announced "in the next few days". Under Russian rules, support is paid through 15-year contracts with state-backed regulator, the Market Council, whereby developers receive 12% annual profit on their capital investment, RAWI explained. In total, 2,213.67MW was submitted in the procurement process – more than two-and-a-half times the available quota. For projects to start delivering power in 2019, entrants submitted wind farms with a combined capacity of 208.8MW. Of this total, 98.8MW was bid in a range between RUR 80,305/kW and RUR 80,609/kW. The 100MW remainder was bid between RUR 130,926/kW and RUR 130,927/kW. Entrants bidding for projects to start delivering power in 2021 entered wind farms with a combined capacity of 627.2MW. Of this, 226.8MW was entered at RUR 59,339/kW, 250MW at between RUR 93,028/kW and RUR 94,001/kW and the 150.4MW balance at RUR 129,987/kW. Projects entered to be commissioned in 2023 had a combined capacity of 1,377.67MW and will receive between RUR 62,209/kW and RUR 130,404/kW. RAWI speculated that bids RUR 59,339/kW and RUR 80,305/kW (for 823.3MW) were likely to have come from experienced market players with great financial resources and OEM partners that had provided low prices for turbine supply. The Russian Association of the Wind Industry (RAWI) said, at these prices, wind power is now a "strong rival to traditional and nuclear generation".